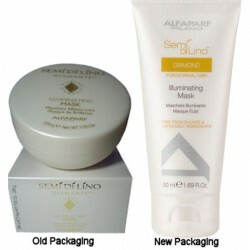 Alfaparf - Just Beauty Products, Inc.
Alfaparf There are 142 products. 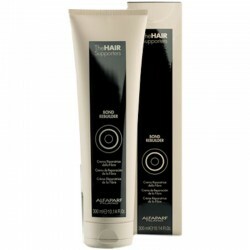 Alfaparf Evolution of the Color, permanent hair coloring cream provides long lasting results and unsurpassed conditioning benefits that maintain the natural strength and beauty of hair. Alfaparf Evolution of the Color Pure Reds 60 ml/2.05 Oz. 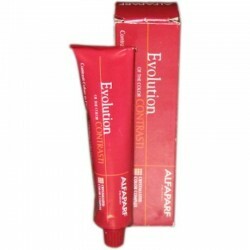 Alfaparf Evolution of the Color Pure Reds, permanent hair coloring cream: 26% more intense than traditional colors and visibly long-lasting colors. 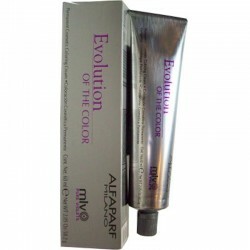 Alfaparf Evolution of the Color Pure Violets 60 ml/2.05 Oz. Alfaparf Evolution of the Color Pure Violets (Velvet Effect - Audacious Contrast), permanent hair coloring cream: 26% more intense than traditional colors and visibly long-lasting colors and fixed shades. 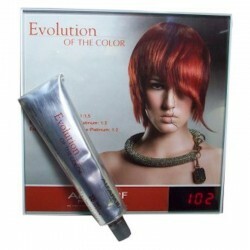 Alfaparf Color Wear Evolution Tone on Tone Ammonia Free Color 2.05 Oz. 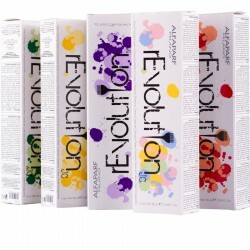 Alfaparf Color Wear Evolution Tone on Tone Ammonia Free Color: For all your salon clients who want ammonia free color. 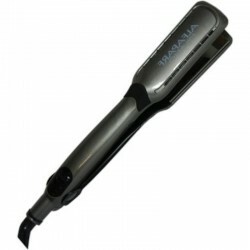 To receive hair color after a perm or straightening service. 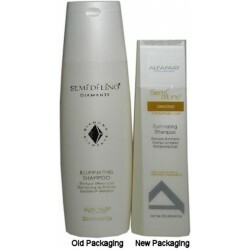 To revive hair color and shine to damaged, dull hair. 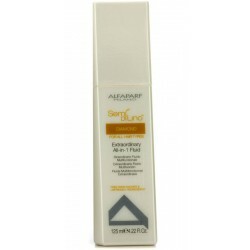 Alfaparf Dolcecolor Tone On Tone Coloring Cream 2.05 Oz. 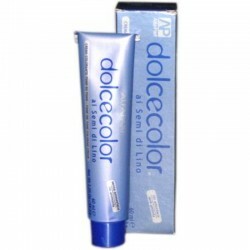 Alfaparf Dolcecolor al Semi Di Lino A new damage free, non-ammonia, tone on tone hair color that couples the brightness and naturalness of Linseed Oil with the quality and purity of its coloring pigments. 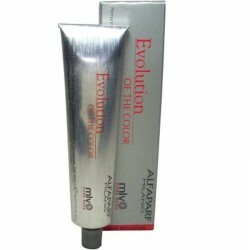 Alfaparf Evolution Of The Color Contrasti Highlighting Color Cream 2.05 Oz. 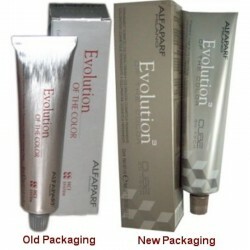 Alfaparf Evolution Of The Color Contrasti Highlighting Color Cream that lifts dark and medium dark bases in only 15/20 minutes without pre lightening. 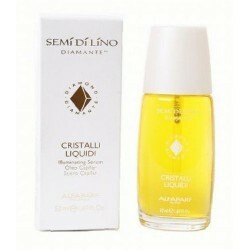 Long-Lasting translucent brilliance thanks to our exclusive Crystallized Color Complex.Pleasantly scented fruit fragrance. 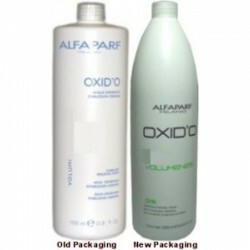 Alfaparf Stabilized Peroxide Cream (Developer ) 1000 ml. 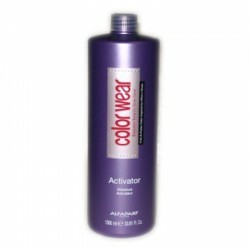 Alfaparf Color Wear Activator 33.81 Oz. 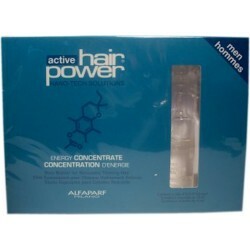 Alfaparf Color Wear Activator 33.81 Oz.Color Wear Activator has only to be used with Color Wear Tone on Tone Coloring Cream. 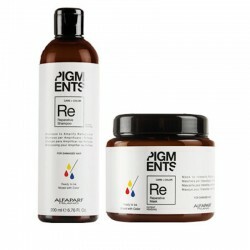 Alfaparf Ultra Concentrated Pigments 3.04 ozPure pigments are suitable for natural, color-treated or bleached hair, to make tones more intense, to add new ones, to correct undesired tones, to add shine, to create a 2 in 1 services (color + treatment, color + shape, color + styling). 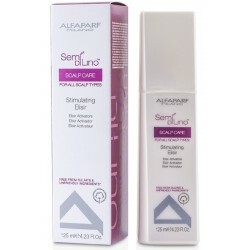 Alfaparf Hair Supporters Scalp & Fiber Restorer 250 ml/8.45 oz. An innovative system that works on the WELLBEING of the scalp, on the STRENGTH of the hair and on the PERFORMANCE of the product during color, bleach and shape services. 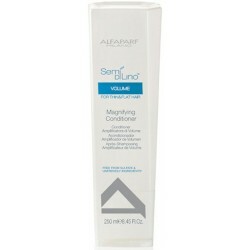 Alfaparf Hair Supporters Scalp Protector 12x13 ml/0.44 oz. An innovative system that works on the WELLBEING of the scalp, on the STRENGTH of the hair and on the PERFORMANCE of the product during color, bleach and shape services. 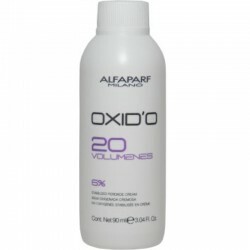 Alfaparf Hair Supporters-BOND REBUILDER- 300ml / 10.14Oz An innovative system that works on the WELLBEING of the scalp, on the STRENGTH of the hair and on the PERFORMANCE of the product during color, bleach and shape services. 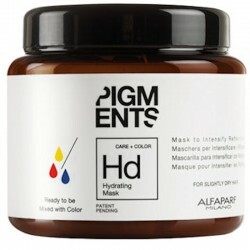 Alfaparf Milano Pigments Hydrating Mask 6.91 oz. 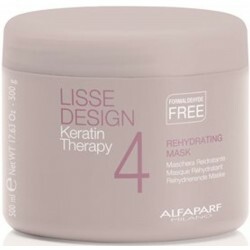 Mask for normal or slightly dry hair formulated to intensively revive the color while ensuring that the pigment in the mixture remains perfectly unaltered. 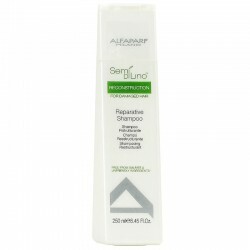 Alfaparf Milano Pigments Hydrating Shampoo 6.76 oz. 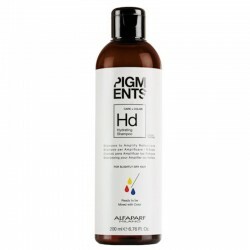 Shampoo for normal or slightly dry hair formulated to intensively revive the color while ensuring that the pigment in the mixture remains perfectly unaltered. Alfaparf Milano Pigments Reparative Mask 6.76 oz. Mask for damaged hair, formulated to intensively revive color while ensuring that the pigment in the mixture remains perfectly unaltered. 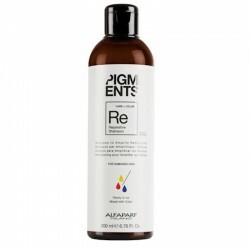 Alfaparf Milano Pigments Reparative Shampoo 6.76 oz. 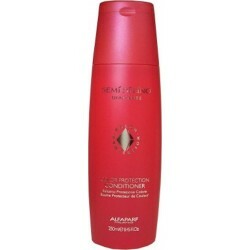 Shampoo for damaged hair, formulated to intensively revive the color while ensuring that the pigment in the mixture remains perfectly unaltered. 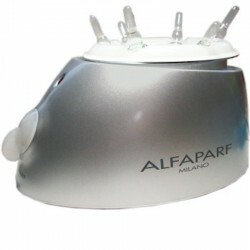 Alfaparf rEvolutuion Milano (Jean Colors) 90ml/3.04oz. 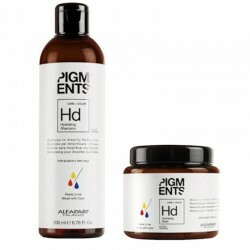 Direct Cream Colorant, damage-free, ammonia-free. Does not require developer. 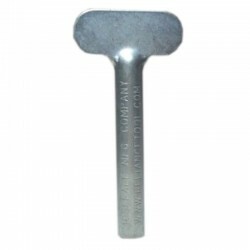 Alfaparf Evolution of The Color Tube Key: Accurately squeezes out the correct ounces of color. 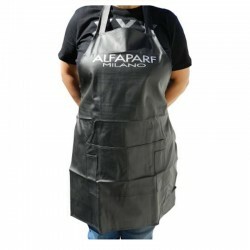 Alfaparf Milano T-Shirt: Two Sizes M (Medium) L (Large). 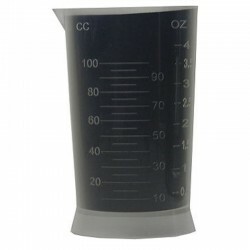 Transparent Plastic Measuring Cup (0-100 CC and 0-4 oz), Ideal for Hair Color Developer and Peroxide. 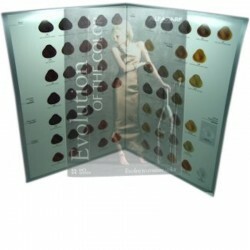 Alfaparf Evolution of the Color Electronic LED Color Scale 2Kg Model HH-S06A. Scale precisely weighs & measures hair coloring formulas to ensure consistent color results. 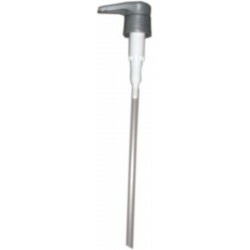 Cost effective as exact amount of product is used without waste. 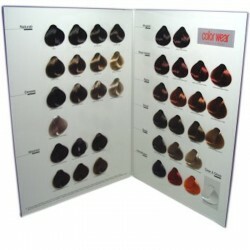 Alfaparf Colorwear New Master Color Chart - Tone on tone hair color in 40 shades. 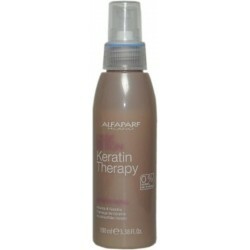 Alfaparf Precious Nature Leave-In Spray with Almond & Pistachio 125ml/4.23 Oz (Colored Hair). 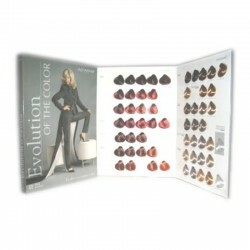 Ultra light-weight protector for maximum color duration thanks to UV filters that help prevent color fade and damage. 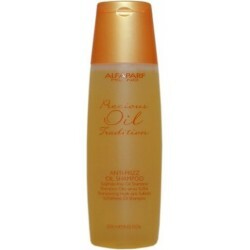 Alfaparf Precious Nature Mask with Almond & Pistachio 200ml/7.05 Oz (Recommended for Colored Hair). 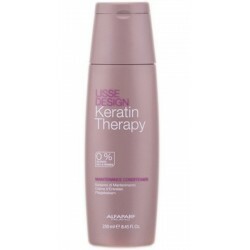 Intensive Strengthening treatment for unsurpassed protection of color-treated hair. It helps to prolong the intensity and shine of color reflections. 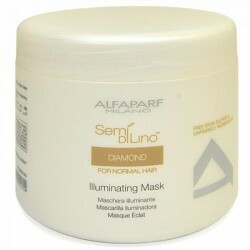 Alfaparf Precious Nature Mask with Almond & Pistachio 500ml/17.64 Oz. 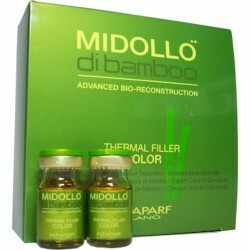 (Recommended for Colored Hair). 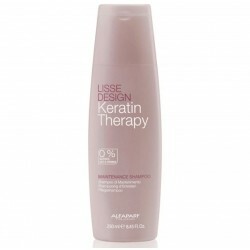 Intensive Strengthening treatment for unsurpassed protection of color-treated hair. It helps to prolong the intensity and shine of color reflections. 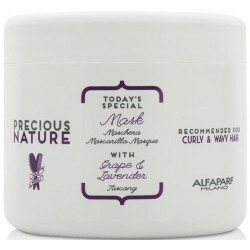 Alfaparf Precious Nature Mask With Grape & Lavender 200ml/ 6.98 Oz. 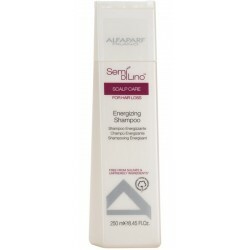 Recommended for Curly & Wavy Hair. 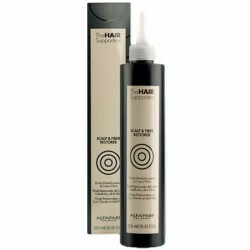 The perfect routine to achieve impeccably defined curls and waves without weighing the hair. 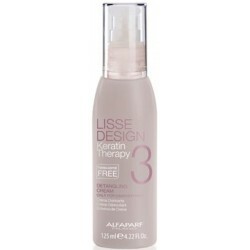 15%* curl definition up to 3 Days. 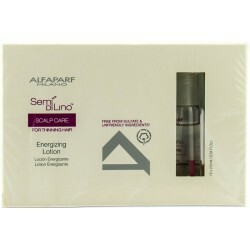 Alfaparf Precious Nature Mask With Grape & Lavender 500ml/17.46 Oz. 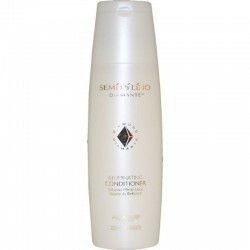 Recommended for Curly & Wavy Hair. 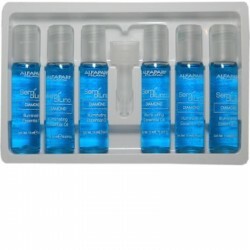 The perfect routine to achieve impeccably defined curls and waves without weighing the hair. 15%* curl definition up to 3 Days. 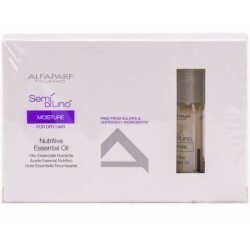 Alfaparf Precious Nature Oil with Grape & Lavender 100ml/ 3.38 Oz (Curly & Wavy Hair). 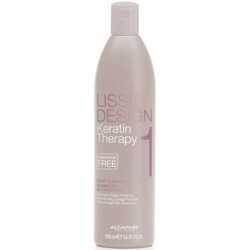 A detangling leave-in oil for maximum curl or wave control. 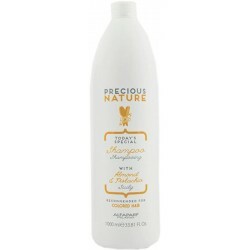 Alfaparf Precious Nature Shampoo With Almond & Pistachio 1000 ML/33.81 Oz (Colored Hair). 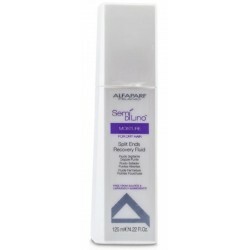 Gentle cleanser that preserves beautiful color depth and extraordinary shine. Unique formula enriched with Pistachio Essence. 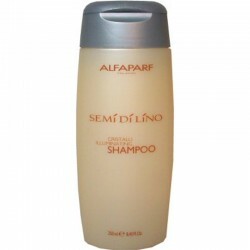 Alfaparf Precious Nature Shampoo With Almond & Pistachio 250ml/ 8.45 Oz (Colored Hair). 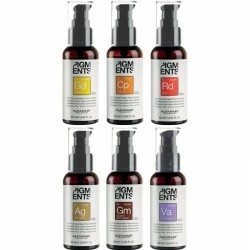 Gentle cleanser that preserves beautiful color depth and extraordinary shine. Unique formula enriched with Pistachio Essence. 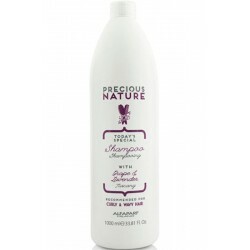 Alfaparf Precious Nature Shampoo With Grape & Lavender 1000ml/ 33.81 Oz (Curly & Wavy Hair). 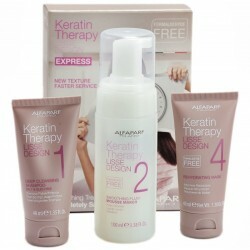 The perfect routine to achieve impeccably defined curls and waves without weighing the hair. 15%* curl definition up to 3 Days. 100% Natural ingredients. 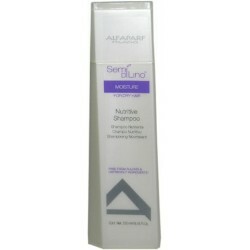 Alfaparf Precious Nature Shampoo With Grape & Lavender 250ml/ 8.45 Oz (Curly & Wavy Hair). 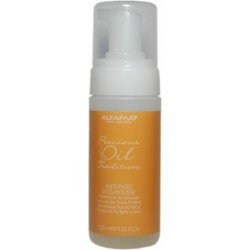 The perfect routine to achieve impeccably defined curls and waves without weighing the hair. 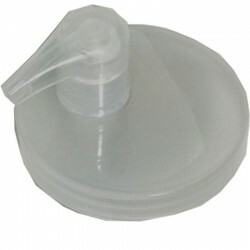 15%* curl definition up to 3 Days. 100% Natural ingredients. 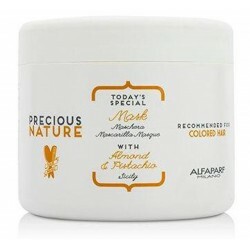 Alfaparf Precious Nature with Almond & Pistachio Medium Kit-(Colored Hair). 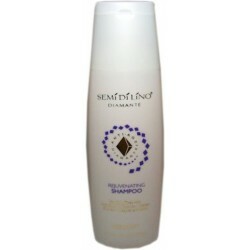 These Products Boast Hair with ultra light textures and are enriched with a fresh and tempting fragrance. 100% Natural Ingredients. 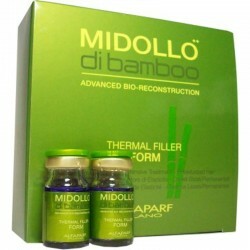 Alfaparf Precious Nature with Almond & Pistachio Large Kit-(Colored Hair). 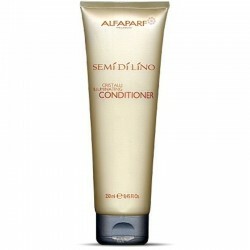 These Products Boast Hair with ultra light textures and are enriched with a fresh and tempting fragrance. 100% Natural Ingredients.